For years, vinyl tile has been a popular commercial flooring treatment. VCT flooring can be found almost universally in grocery and big box stores, schools, office suites, medical facilities . 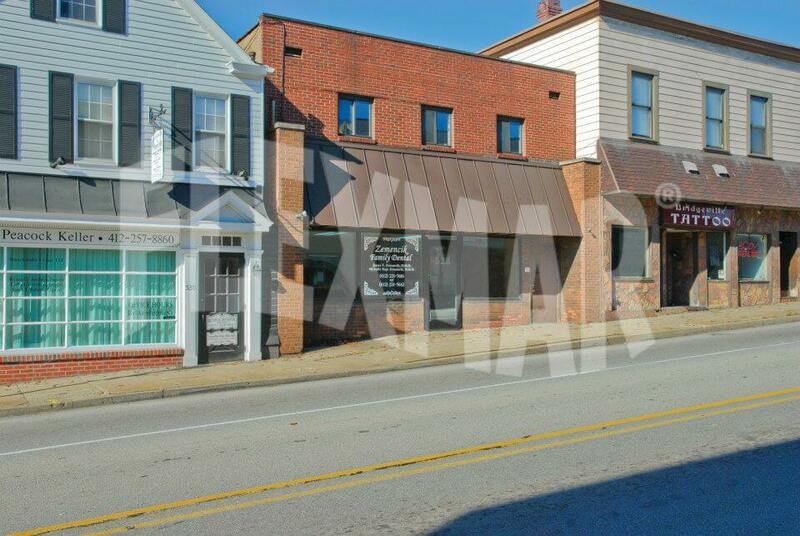 . . and dental offices. The floors within these commercial environments are exposed to abuses such as high foot traffic, rolling office chairs, cart, stretcher, and forklift traffic, food and chemical splashes and spills, and exposure to body fluids. 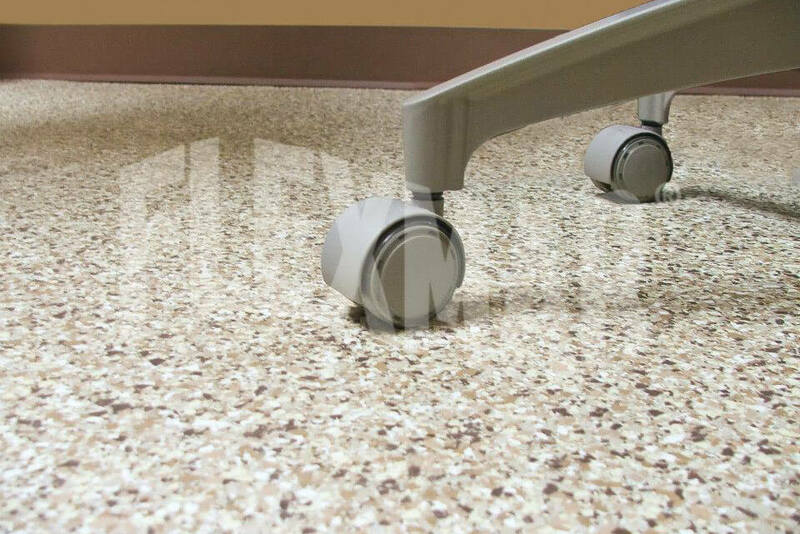 But while vinyl tile flooring is pervasive, it requires considerable attention and maintenance to keep a clean, presentable look for customers, students, patients, and employees—the people who will form instant opinions about an organization based on the facility’s appearance. Dr. James Zemencik, owner of a general dentistry practice outside of Pittsburgh, Pennsylvania, discovered firsthand that vinyl tile flooring isn’t all it’s cracked up to be. When he moved into his four-operatory dental suite in 1993, he had vinyl tile flooring installed in the high-traffic, high-abuse areas. At first, the floor looked great. But over time, with an average of 40 to 45 patients a week, the VCT flooring began to deteriorate. As Dr. Zemencik and his wife began their search for a different hard surface floor treatment for their high-traffic areas, they realized that typical flooring would not meet their needs. 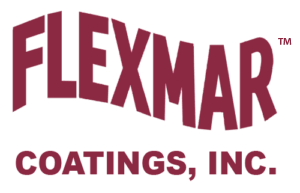 A FLEXMAR-trained applicator in the greater Pittsburgh area applied a test patch of the FLEXMAR clear poly-aspartic sealer directly to the existing vinyl tile in a high-wear area of one of the operatories. A month later, the clear sealer was not showing any wear whatsoever, and exhibiting excellent adhesion to the VCT flooring. The application of the FLEXMAR polyaspartic floor system was part of a wholesale renovation of the facility including carpeting elsewhere in the office and wall painting throughout. Once the dental equipment was removed from the operatories, the FLEXMAR application crew prepared the floor surface to accept the polyaspartic coating. Normally, FLEXMAR polyaspartic floor coatings are applied to properly prepared concrete. But in this case, the polyaspartic base coat was applied directly to the properly prepared vinyl tile flooring. The VCT tiles were all intact, well bonded, without curled edges, so there was no need to remove the tiles and adhesive, reducing the overall application time and labor costs. After the floor prep was complete, a pigmented FLEXMAR polyaspartic base coat was applied and colored vinyl chips were immediately broadcast into the still-wet coating. About an hour later, the base coat was dry, and the excess color flakes were removed. Then an initial coat of FLEXMAR clear polyaspartic sealer was applied to encapsulate the color flakes. After that coat was dry (again, in about an hour), a second coat of the FLEXMAR clear polyaspartic sealer was applied to increase the thickness of the coating and “pop” the color. In about an hour after the final coat was applied, the floor was ready to walk on and be returned to service, allowing the paint crews to enter and paint the walls. 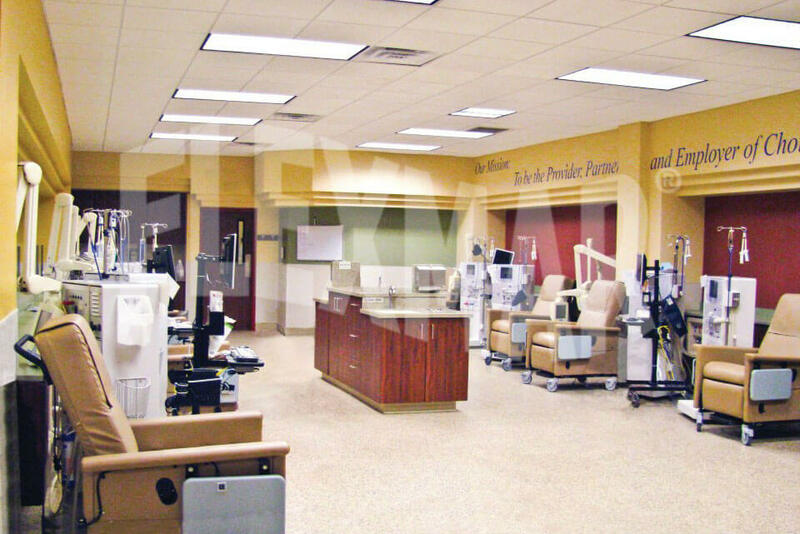 With a rapid recoat and return to service, FLEXMAR polyaspartic coatings helped to reduce the practice’s overall downtime during the renovation.